For Anna's nursery, I was inspired by a mint and gold mermaid print I saw on Rifle Paper Company's website and a bold, teal-colored rug we already owned. 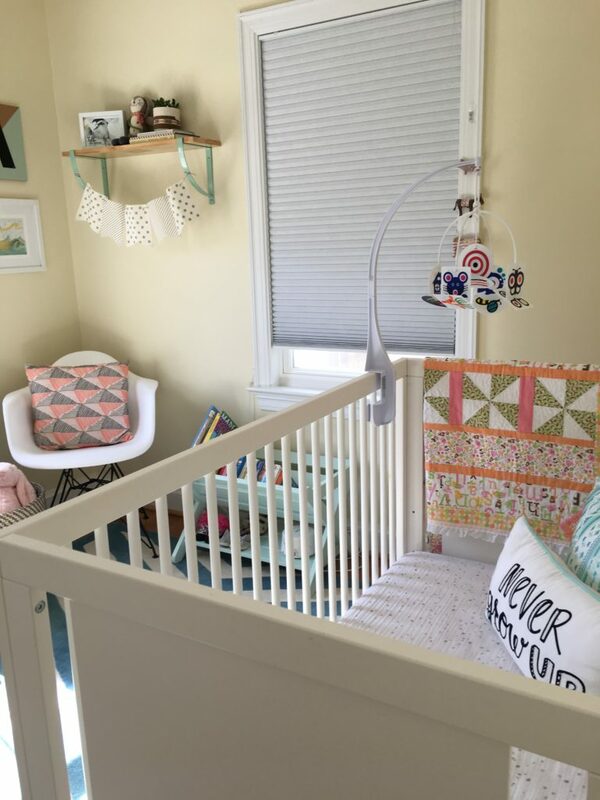 We had painted the walls of this small room a cream color with a hint of yellow before we knew the baby's gender, so once she was born, I wanted to bring in more mint, gold, a few splashes or coral, and grays and whites for furniture and neutral pieces. The room is not large, so for seating I loved finding an Eames-inspired chair with a slim footprint. I wanted the room to be fun and not too baby-ish, so opted for a few Rifle Paper prints and and a gold dot wall for artwork. Since there was not room for a bookshelf, I used a mint colored book caddy under a window and a couple of wall shelfs. To make up for the lack of closet space, we used IKEA dressers with lots of storage and a wall shelf with a clothing rack to hang and show off her "statement" pieces. The room came together slowly, but makes me so happy whenever I'm in it with Anna. Mom of Will (3) and Anna (1). Have developed a passion for design as a hobby, thanks to Pinterest and Emily Henderson. My style is mid-century modern meets casual but I love the bones of old houses.